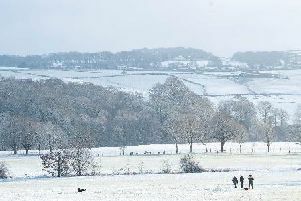 The North West is set to be hit by snow and ice this week, as temperatures plummet and weather warnings are put in place. The Met Office has issued a yellow weather warning for snow and ice. This is in place until 12pm today (29 Jan), covering Blackburn with Darwen, Cheshire East, Cumbria, Greater Manchester and Lancashire. A second yellow weather warning for snow and ice is in place from 12pm today (29 Jan) until 11am on Wednesday (30 Jan), covering Blackburn with Darwen, Blackpool, Cheshire East, Cheshire West and Chester, Cumbria, Greater Manchester, Halton, Lancashire, Merseyside and Warrington.